This simple tutorial is going to show you an indicator applet which collects recent messages sent with libnotify to a notification daemon and displays recent notifications in system tray area. Log out and back in, you’ll see the applet icon in the system tray area. 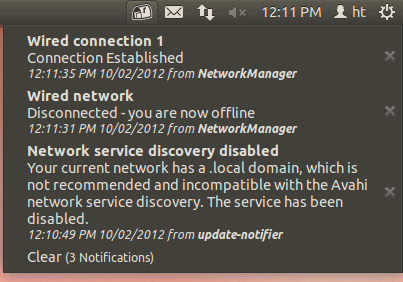 No user responded in " Display Recent Notifications on Ubuntu 12.04 Panel "